Dr Phaik Yeong Cheah, an Associate Professor of Oxford University is based in Bangkok at the Wellcome Programme. She is currently the head of a new department, called the Department of Bioethics and Engagement. The department works on ethical issues arising from conducting research and working with vulnerable populations such as children, pregnant women, migrants as well as other disadvantaged and hard-to-reach populations. In addition, the department’s remit also includes developing and managing the programme’s community and public engagement work either programme-wide (e.g. the artist-in-residence programme), location-specific (e.g. supporting the long running Tak Province Community Ethics Advisory Board) or study specific. She is particularly interested in ethical issues in community engagement and paediatric research. Phaik Yeong was the head of the Clinical Trials Support Group within the Programme which is a group that helps researchers run clinical trials for seven years. Before moving to Bangkok, she worked in the Clinical Trials & Research Governance office in Oxford where her responsibilities included advising, reviewing and approving research protocols, providing research ethics and Good Clinical Practice training for researchers, and monitoring and auditing clinical trials on behalf of the University. 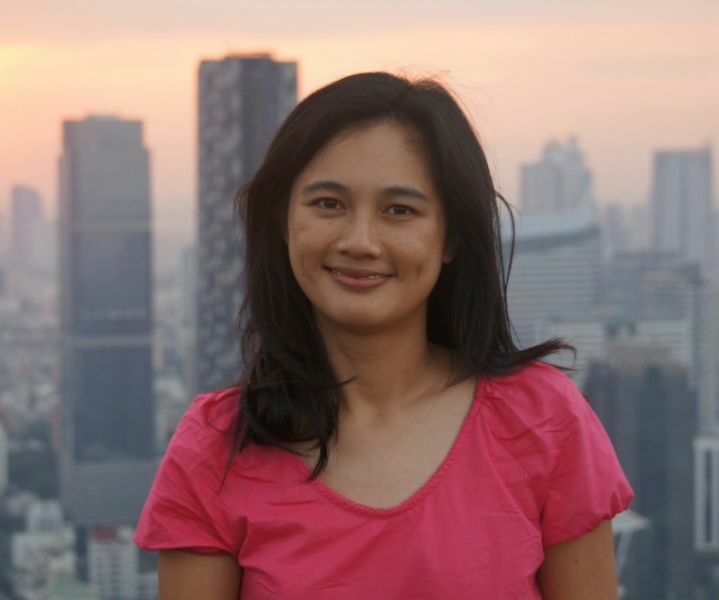 Phaik Yeong started working in clinical trials in 1998 when she started her PhD work on chronic prostatitis in Penang, Malaysia. BACKGROUND: Between 2013 and 2017, targeted malaria elimination (TME), a package of interventions that includes mass drug administration (MDA)-was piloted in communities with reservoirs of asymptomatic P. falciparum across the Greater Mekong sub-Region (GMS). Coverage in target communities is a key determinant of the effectiveness of MDA. Drawing on mixed methods research conducted alongside TME pilot studies, this article examines the impact of the community engagement, local social context and study design on MDA coverage. METHODS AND FINDINGS: Qualitative and quantitative data were collected using questionnaire-based surveys, semi-structured and in-depth interviews, focus group discussions, informal conversations, and observations of study activities. Over 1500 respondents were interviewed in Myanmar, Vietnam, Cambodia and Laos. Interview topics included attitudes to malaria and experiences of MDA. Overall coverage of mass anti-malarial administration was high, particularly participation in at least a single round (85%). Familiarity with and concern about malaria prompted participation in MDA; as did awareness of MDA and familiarity with the aim of eliminating malaria. Fear of adverse events and blood draws discouraged people. Hence, community engagement activities sought to address these concerns but their impact was mediated by the trust relationships that study staff could engender in communities. In contexts of weak healthcare infrastructure and (cash) poverty, communities valued the study's ancillary care and the financial compensation. However, coverage did not necessarily decrease in the absence of cash compensation. Community dynamics, affected by politics, village conformity, and household decision-making also affected coverage. CONCLUSIONS: The experimental nature of TME presented particular challenges to achieving high coverage. Nonetheless, the findings reflect those from studies of MDA under implementation conditions and offer useful guidance for potential regional roll-out of MDA: it is key to understand target communities and provide appropriate information in tailored ways, using community engagement that engenders trust. BACKGROUND: The emergence and spread of multidrug-resistant Plasmodium falciparum in the Greater Mekong Subregion (GMS) threatens global malaria elimination efforts. Mass drug administration (MDA), the presumptive antimalarial treatment of an entire population to clear the subclinical parasite reservoir, is a strategy to accelerate malaria elimination. We report a cluster randomised trial to assess the effectiveness of dihydroartemisinin-piperaquine (DP) MDA in reducing falciparum malaria incidence and prevalence in 16 remote village populations in Myanmar, Vietnam, Cambodia, and the Lao People's Democratic Republic, where artemisinin resistance is prevalent. METHODS AND FINDINGS: After establishing vector control and community-based case management and following intensive community engagement, we used restricted randomisation within village pairs to select 8 villages to receive early DP MDA and 8 villages as controls for 12 months, after which the control villages received deferred DP MDA. The MDA comprised 3 monthly rounds of 3 daily doses of DP and, except in Cambodia, a single low dose of primaquine. We conducted exhaustive cross-sectional surveys of the entire population of each village at quarterly intervals using ultrasensitive quantitative PCR to detect Plasmodium infections. The study was conducted between May 2013 and July 2017. The investigators randomised 16 villages that had a total of 8,445 residents at the start of the study. Of these 8,445 residents, 4,135 (49%) residents living in 8 villages, plus an additional 288 newcomers to the villages, were randomised to receive early MDA; 3,790 out of the 4,423 (86%) participated in at least 1 MDA round, and 2,520 out of the 4,423 (57%) participated in all 3 rounds. The primary outcome, P. falciparum prevalence by month 3 (M3), fell by 92% (from 5.1% [171/3,340] to 0.4% [12/2,828]) in early MDA villages and by 29% (from 7.2% [246/3,405] to 5.1% [155/3,057]) in control villages. Over the following 9 months, the P. falciparum prevalence increased to 3.3% (96/2,881) in early MDA villages and to 6.1% (128/2,101) in control villages (adjusted incidence rate ratio 0.41 [95% CI 0.20 to 0.84]; p = 0.015). Individual protection was proportional to the number of completed MDA rounds. Of 221 participants with subclinical P. falciparum infections who participated in MDA and could be followed up, 207 (94%) cleared their infections, including 9 of 10 with artemisinin- and piperaquine-resistant infections. The DP MDAs were well tolerated; 6 severe adverse events were detected during the follow-up period, but none was attributable to the intervention. CONCLUSIONS: Added to community-based basic malaria control measures, 3 monthly rounds of DP MDA reduced the incidence and prevalence of falciparum malaria over a 1-year period in areas affected by artemisinin resistance. P. falciparum infections returned during the follow-up period as the remaining infections spread and malaria was reintroduced from surrounding areas. Limitations of this study include a relatively small sample of villages, heterogeneity between villages, and mobility of villagers that may have limited the impact of the intervention. These results suggest that, if used as part of a comprehensive, well-organised, and well-resourced elimination programme, DP MDA can be a useful additional tool to accelerate malaria elimination. TRIAL REGISTRATION: ClinicalTrials.gov NCT01872702. BACKGROUND: Research funders, regulatory agencies, and journals are increasingly expecting that individual-level data from health research will be shared. Broad consent to such sharing is considered appropriate, feasible and acceptable in low- and middle-income settings, but to date limited empirical research has been conducted to inform the design of such processes. We examined stakeholder perspectives about how best to seek broad consent to sharing data from the Mahidol Oxford Tropical Medicine Research Unit, which implemented a data sharing policy and broad consent to data sharing in January 2016. METHODS: Between February and August 2017 qualitative data were collected at two sites, Bangkok and the Thai-Myanmar border town of Mae Sot. We conducted eighteen semi-structured interviews. We also conducted four focus group discussions with a total of nineteen people. Descriptive and thematic coding informed analysis of aspects of data sharing that are considered most important to inform participants about, and the best ways to explain complex and abstract topics relating to data sharing. RESULTS: The findings demonstrated that clinical trial participants prioritise information about the potential benefits and harms of data sharing. Stakeholders made multiple suggestions for clarifying information provided about data sharing on such topics. There was significant variation amongst stakeholders' perspectives about how much information should be provided about data sharing, and it was clear that effective information provision should be responsive to the study, the study population, the individual research participant and the research context. CONCLUSIONS: Effectively communicating about data sharing with research participants is challenging in practice, highlighting the importance of robust and effective data sharing governance in this context. Broad consent should incorporate effective and efficient explanations of data sharing to promote informed decision-making, without impeding research participants' understandings of key aspects of the research from which data will be shared. Further work is required to refine both the development of core information about data sharing to be provided to all research participants, and appropriate solutions for context specific-challenges arising when explaining data sharing. Background: The emergence of artemisinin resistance in the Greater Mekong Subregion (GMS) has prompted urgent containment measures. One possible approach is mass drug administration (MDA). This article explores attitudes towards and perceptions of MDA for malaria elimination among policymakers and leading malariologists. Methods: Thirty-two semistructured interviews (SSI) were conducted with policymakers (n=17) and principal investigators (n=15) selected based on their involvement in malaria prevention, control and elimination in the GMS. Interviews were audio recorded and transcribed for qualitative content (thematic) analysis using NVivo (QSR International, Doncaster, Victoria, Australia). Results: Researchers and policymakers described reluctance and consequently delays to pilot MDA for malaria elimination. Most policymakers and some researchers reported concerns around the evidence base, citing a lack of data on its effectiveness and appropriate target populations. There were also worries about promoting resistance. Other issues included a previous lack of support from the World Health Organization, past MDAs, the remoteness of target populations and challenges explaining the rationale for MDA. Conclusions: The complex rationale for MDA for malaria elimination, mistaking pilot studies for implementation, past experiences with MDA, difficulties in selecting appropriate sites and the WHO's lack of clear backing undermined the support for MDA for malaria elimination. Background: In light of growing antimalarial drug resistance in Southeast Asia, control programmes have become increasingly focused on malaria elimination, composed of mass drug administration coupled with prompt diagnosis and treatment of symptomatic cases. The key to a successful elimination programme centres on high participation rates in targeted communities, often enhanced by community engagement (CE) efforts. Social science research was conducted to develop a conceptual framework used for CE activities in the Targeted Malaria Elimination programme, as a cross-border operation in Karen/Kayin State, Myanmar. Methods: Data was collected from three main sources: (1) participant observation and semi-structured interviews of CE team members; (2) participant observation and semi-structured interviews with villagers; and (3) records of CE workshops with CE workers conducted as part of the TME programme. Results: Interviews were conducted with 17 CE team members, with 10 participant observations and interviews conducted with villagers and a total of 3 workshops conducted over the course of this pilot programme in 4 villages (November 2013 to October 2014). Thematic analysis was used to construct the nine dimensions for CE in this complex, post-war region: i) history of the people; ii) space; iii) work; iv) knowledge about the world; v) intriguing obstacle (rumour); vi) relationship with the health care system; vii) migration; viii) logic of capitalism influencing openness; and ix) power relations. Conclusions: Conducting CE for the Targeted Malaria Elimination programme was immensely complicated in Karen/Kayin State because of three key realities: heterogeneous terrains, a post-war atmosphere and cross-border operations. These three key realities constituted the nine dimensions, which proved integral to health worker success in conducting CE. Summary of this approach can aid in infectious disease control programmes, such as those using mass drug administration, to engender high rates of community participation. BACKGROUND: Artemisinin resistance in Plasmodium falciparum has emerged and spread in Southeast Asia. In areas where resistance is established longer courses of artemisinin-based combination therapy have improved cure rates. METHODS: The standard 3-day course of artemether-lumefantrine (AL) was compared with an extended 5-day regimen for the treatment of uncomplicated falciparum malaria in Kayin state in South-East Myanmar, an area of emerging artemisinin resistance. Late parasite clearance dynamics were described by microscopy and quantitative ultra-sensitive PCR. Patients were followed up for 42 days. RESULTS: Of 154 patients recruited (105 adults and 49 children < 14 years) 78 were randomized to 3 days and 76 to 5 days AL. Mutations in the P. falciparum kelch13 propeller gene (k13) were found in 46% (70/152) of infections, with F446I the most prevalent propeller mutation (29%; 20/70). Both regimens were well-tolerated. Parasite clearance profiles were biphasic with a slower submicroscopic phase which was similar in k13 wild-type and mutant infections. The cure rates were 100% (70/70) and 97% (68/70) in the 3- and 5-day arms respectively. Genotyping of the two recurrences was unsuccessful. CONCLUSION: Despite a high prevalence of k13 mutations, the current first-line treatment, AL, was still highly effective in this area of South-East Myanmar. The extended 5 day regimen was very well tolerated, and would be an option to prolong the useful therapeutic life of AL. Trial registration NCT02020330. Registered 24 December 2013, https://clinicaltrials.gov/NCT02020330. Background: Mass drug administrations (MDAs) are part of the World Health Organization's Plasmodium falciparum elimination strategy for the Greater Mekong Subregion (GMS). In Cambodia, a 2015-2017 clinical trial evaluated the effectiveness of MDA. This article explores factors that influence the feasibility and acceptability of MDA, including seasonal timing, financial incentives and the delivery model. Methods: Quantitative data were collected through structured questionnaires from the heads of 163 households. Qualitative data were collected through 25 semi-structured interviews and 5 focus group discussions with villagers and local health staff. Calendars of village activities were created and meteorological and malaria treatment records were collected. Results: MDA delivered house-to-house or at a central point, with or without compensation, were equally acceptable and did not affect coverage. People who knew about the rationale for the MDA, asymptomatic infections and transmission were more likely to participate. In western Cambodia, MDA delivered house-to-house by volunteers at the end of the dry season may be most practicable but requires the subsequent treatment of in-migrants to prevent reintroduction of infections. Conclusions: For MDA targeted at individual villages or village clusters it is important to understand local preferences for community mobilisation, delivery and timing, as several models of MDA are feasible. Background: Village Malaria Workers (VMWs) are lay people trained to provide a valuable role in frontline testing and treatment of malaria in rural villages in Cambodia. Emergence of artemisinin-resistant malaria highlights the essential role of such VMWs in surveillance and early treatment of malaria. Smartphone technology offers huge potential to support VMWs in isolated and resource-poor settings. Methods: We investigated the feasibility of issuing established VMWs with a smartphone, bespoke Android application and solar charger to support their role. 27 VMWs in Kampong Cham and Kratie provinces participated. Results: 26/27 of the smartphones deployed were working well at study completion twelve months later. Interviews with VMWs using quantitative and qualitative methods revealed pride, ease of use and reports of faster communication with the smartphone. VMWs also expressed a strong wish to help people presenting with non-malarial fever, for which further potential supportive smartphone applications are increasingly available. Conclusions: As a result of this pilot study, two smartphone based reporting systems for malaria have been developed at the Cambodian National Malaria Center, and the programme is now being extended nationwide. The full code for the smartphone application is made available to other researchers and healthcare providers with this article. Smartphones represent a feasible platform for developing the VMW role to include other health conditions, thus maintaining the relevance of these important community health workers. Background: Chloroquine has been recommended for Plasmodium vivax infections for >60 years, but resistance is increasing. To guide future therapies, the cumulative benefits of using slowly eliminated (chloroquine) vs rapidly eliminated (artesunate) antimalarials, and the risks and benefits of adding radical cure (primaquine) were assessed in a 3-way randomized comparison conducted on the Thailand-Myanmar border. Methods: Patients with uncomplicated P. vivax malaria were given artesunate (2 mg/kg/day for 5 days), chloroquine (25 mg base/kg over 3 days), or chloroquine-primaquine (0.5 mg/kg/day for 14 days) and were followed for 1 year. Recurrence rates and their effects on anemia were compared. Results: Between May 2010 and October 2012, 644 patients were enrolled. Artesunate cleared parasitemia significantly faster than chloroquine. Day 28 recurrence rates were 50% with artesunate (112/224), 8% with chloroquine (18/222; P < .001), and 0.5% with chloroquine-primaquine (1/198; P < .001). Median times to first recurrence were 28 days (interquartile range [IQR], 21-42) with artesunate, 49 days (IQR, 35-74) with chloroquine, and 195 days (IQR, 82-281) with chloroquine-primaquine. Recurrence by day 28, was associated with a mean absolute reduction in hematocrit of 1% (95% confidence interval [CI], .3%-2.0%; P = .009). Primaquine radical cure reduced the total recurrences by 92.4%. One-year recurrence rates were 4.51 (95% CI, 4.19-4.85) per person-year with artesunate, 3.45 (95% CI, 3.18-3.75) with chloroquine (P = .002), and 0.26 (95% CI, .19-.36) with chloroquine-primaquine (P < .001). Conclusions: Vivax malaria relapses are predominantly delayed by chloroquine but prevented by primaquine. Clinical Trials Registration: NCT01074905. BACKGROUND: The use of placebos in randomised controlled trials is a subject of considerable ethical debate. In this paper we present a set of considerations to evaluate the ethics of placebo controlled trials that includes: social value of the study; need for a randomised controlled trial and placebo; standards of care; risks of harm due to administration of placebo and the harm benefit balance; clinical equipoise; and double standards. We illustrate the application of these considerations using a case study of a large ongoing multicentre, placebo-controlled, double-blinded, randomised trial to determine primaquine anti-relapse efficacy in vivax malaria. MAIN BODY: There is an urgent need for primaquine anti-relapse studies in order to rationalise the management of a potentially fatal disease. An ethical justification for the use of the placebo arm is provided on the grounds that the actual current applied standard of care in most endemic places does not include primaquine. It has also been argued that there is clinical equipoise among the primaquine study arms and that the risk of harms of being in the placebo arm is the risk of having relapse, which is no more than not being included in the trial, and that there are no double standards. CONCLUSION: Based on our set of considerations, we conclude that a placebo arm is not only justified but imperative in this study. We propose that similar considerations should be prospectively applied to other placebo controlled trials and observational control arms where no treatment is offered. Two mass drug administrations (MDA) against falciparum malaria were conducted in 2015-16, one as operational research in northern Cambodia, and the other as a clinical trial in western Cambodia. During an April 2017 workshop in Phnom Penh the field teams from Médecins Sans Frontières and the Mahidol-Oxford Tropical Medicine Research Unit discussed lessons for future MDAs. BACKGROUND: As a part of targeted malaria elimination (TME) in the Greater Mekong Sub-region (GMS), mass drug administration (MDA) with anti-malarials was conducted in four villages in Nong District, Savannakhet Province, Lao PDR (Laos). A high proportion of the target population participated in the MDA, with over 87% agreeing to take the anti-malarial. Drawing on qualitative data collected alongside the MDA, this article explores the factors that led to this high population coverage. METHODS: Qualitative data collection methods included observations, which were recorded in field notes, focus group discussions (FGDs), and semi-structured interviews (SSIs). Data were collected on local context, MDA-related knowledge, attitudes and perceptions. FGDs and SSIs were audio-recorded, transcribed and translated to English. All transcriptions and field notes underwent qualitative content analysis using QSR NVivo. RESULTS: Respondents recognized malaria as a health concern and described the need for a malaria control program. The risk of malaria including asymptomatic infection was explained in terms of participants' work in forest and fields, and poor hygiene. During the MDA rounds, there was an improvement in knowledge on the concept of asymptomatic malaria, the rationale of MDA and the blood test. In all four villages, poverty affected access to healthcare and the provision of free care by TME was highly appreciated. TME was jointly undertaken by research staff and local volunteers. Authorities were involved in all TME activities. Lao Theung communities were cohesive and community members tended to follow each other's behaviour closely including participation in MDA. Factors such as understanding the concept and rationale of the study, free health care, collaboration with the village volunteers, support from authorities and cohesive communities contributed in building trust and high population coverage in MDA. CONCLUSION: Future malaria control programmes can become successful in achieving the high coverage in MDAs drawing from the success of TME in Laos. A high population coverage in TME was a combination of various factors that included the community engagement to promote the concept and rationale of MDA for asymptomatic malaria in addition to their baseline understanding of malaria as a health concern, provision of free primary health care, partnering of the research with local volunteers and authorities, building social relationship with community members and the cohesive nature of the communities boosted the trust and participation in MDA. BACKGROUND: In the Greater Mekong Sub-region (GMS), malaria elimination efforts are targeting the asymptomatic parasite reservoirs. Understanding community perceptions about asymptomatic malaria infections and interventions that target this reservoir is critical to the design of community engagement. This article examines knowledge, attitudes, perceptions and practices related to asymptomatic malaria infections and mass drug administration (MDA) in malaria-endemic villages in southern Savannakhet Province, Laos. METHODS: A questionnaire consisting of questions on socio-demographic characteristics, knowledge, attitudes, perceptions and practices on malaria and MDA was administered to each household head or representative (n = 281) in four villages. These topics were also further discussed in 12 single-gender focus group discussions (FGDs). The FGDs were conducted in all four villages and consisted of eight to 10 participants. RESULTS: A minority (14.2%; 40/281) of respondents agreed that a seemingly healthy person could have malaria parasite in his or her blood. Half (52%; 146/281) disagreed and one third (33.8%, 95/281) were unsure. Respondents who responded that "MDA aims to cure everyone" [AOR = 4.6; CI: 1.6-13.1], "MDA is to make our community malaria free" [AOR = 3.3; CI: 1.3-8.1] and "I will take part in future MDA" [AOR = 9.9; CI: 1.2-78.8] were more likely to accept the idea of asymptomatic malaria. During FGDs, respondents recalled signs and symptoms of malaria (fever, chills and headache), and described malaria as a major health problem. Symptomatic and asymptomatic malaria infections were associated with their work in the forest and living conditions. Measures described to eliminate malaria included using mosquito nets, wearing long-sleeved clothes and taking medicine when symptomatic. Most respondents were unaware of MDA as a tool to eliminate malaria. CONCLUSIONS: Awareness of asymptomatic malaria infections, and MDA as a tool to eliminate malaria, was low. With the need to target asymptomatic malaria carriers for elimination efforts in the GMS, as well as informing target groups about asymptomatic infection, accompanying community engagement must build trust in interventions through the active collaboration of government stakeholders, key local persons and community members. This entails training and devolving responsibilities to the community members to implement and sustain the control and elimination efforts. This article describes our experience using art and theatre to engage rural communities in western Cambodia to understand malaria and support malaria control and elimination. The project was a pilot science-arts initiative to supplement existing engagement activities conducted by local authorities. In 2016, the project was conducted in 20 villages, involved 300 community members and was attended by more than 8000 people. Key health messages were to use insecticide-treated bed-nets and repellents, febrile people should attend village malaria workers, and to raise awareness about the risk of forest-acquired malaria. Building on the experience and lessons learnt in the year prior, the 2017 project which was conducted in 15 villages involved 600 community members and attracted more than 12,000 people. In addition to the malaria theme, upon discussion with local health authorities, secondary theme (infant vaccination) was added to the 2017 project. We learnt the following lessons from our experience in Cambodia: involving local people including children from the beginning of the project and throughout the process is important; messages should be kept simple; it is necessary to take into consideration practical issues such as location and timing of the activities; and that the project should offer something unique to communities. The Pint of Science Festival is the largest annual international science festival. So far the event has been held simultaneously in Europe, North America, South America, Africa, and Australia but not in Asia. Pint of Science Thailand was held for the first time this year, in Thailand's capital, Bangkok. This article briefly discusses some of the successes, challenges, and lessons learnt associated with running the first Pint of Science event in Asia, a culture very different to the Western Hemisphere cities that have currently hosted Pint of Science events. Since January 2016, the Mahidol Oxford Tropical Medicine Research Unit (MORU) has trialled a data-sharing policy where requests to access research datasets are processed through a Data Access Committee. In this paper, we share our experiences establishing data management systems and data-sharing infrastructure including a data-sharing policy, data access committee and related procedures. We identified a number of practical and ethical challenges including requests for datasets collected without specific or broad consent to data sharing and requests from pharmaceutical companies for data to support drug registration applications. We also encountered significant resource constraints which required the development of appropriate human resources and infrastructure. We suggest a research agenda to promote responsible and equitable data sharing while safeguarding the rights and interests of research participants and researchers. Mass drug administration (MDA) to interrupt malaria transmission requires the participation of entire communities. As part of a clinical trial in western Cambodia, four villages received MDA in 2015-2016. Before approaching study communities, a collaboration was established with the local health authorities, village leaders, and village malaria workers. Formative research guided the development of engagement strategies. In each village, a team of volunteers was formed to explain MDA to their neighbors and provide support during implementation. Public mobilization events featuring drama and music were used to introduce MDA. Villages comprised groups with different levels of understanding and interests; therefore, multiple tailored engagement strategies were required. The main challenges were explaining malaria transmission, managing perceptions of drug side effects, and reaching mobile populations. It was important that local leaders took a central role in community engagement. Coverage during each round of MDA averaged 84%, which met the target for the trial. Background: Countries in Southeast Asia are working to eliminate multidrug-resistant falciparum malaria, a major cause of mortality in tropical regions. Malaria is declining but transmission persists in many rural areas and among forest workers and isolated populations. In these remote communities, conventional health services and education are limited. Mobilising and educating these populations require new approaches as many people are illiterate and do not attend village meetings. This article describes a qualitative study to assess the feasibility of a drama project as a community engagement strategy. Methods: A drama project was conducted in twenty villages in Cambodia with three key messages: to use insecticide-treated bednets and repellents, to get early diagnosis and treatment, and to learn about risks of forest-acquired malaria. Qualitative interviews were conducted with the drama team members, village malaria workers, local health staffs and villagers, to explore the feasibility of using drama to engage the community and the associated challenges. Results: 29 people were interviewed, which included 18 semi-structured interviews and one focus group discussion. Analysis of the interviews resulted in development of the following seven themes: i) exposure to malaria and engagement activities, ii) readiness and barriers to participation, iii) understanding and learning about malaria using drama, iv) entertainment value and engagement method preferences, v) challenges to community engagement, vi) future participation and vii) sustainability. The event saw a very positive response, with an encouraging average participation rate of 66%. The project faced several challenges including logistic problems, rescheduling due to raining season, and time- and budget-constraints. Conclusions: Our evaluation demonstrated that the drama project was feasible in promoting awareness and understanding of malaria prevention and control. Audience members perceived drama as entertaining and as the preferred choice of engagement activity. Participatory drama could be considered as part of the community engagement for malaria elimination. BACKGROUND: Targeted malaria elimination (TME) in Lao PDR (Laos) included three rounds of mass drug administrations (MDA) against malaria followed by quarterly blood surveys in two villages in Nong District at Savannakhet Province. The success of MDA largely depends upon the efficacy of the anti-malarial drug regimen, local malaria epidemiology and the population coverage. In order to explore the reasons for participation in TME, a quantitative survey was conducted after the completion of the three rounds of MDA. METHODS: The survey was conducted in two villages with a total of 158 households in July and August 2016. Among the 973 villagers eligible for participation in the MDA, 158 (16.2%) adults (> 18 years) were selected, one each from every household for the interviews using a quantitative questionnaire. RESULTS: 150/158 (94.9%) respondents participated at least in one activity (taking medicine or testing their blood) of TME. 141/150 (94.0%) respondents took part in the MDA and tested their blood in all three rounds. 17/158 (10.7%) were partial or non-participants in three rounds of MDA. Characteristics of respondents which were independently associated with completion of three rounds of MDA included: attending TME meetings [AOR = 12.0 (95% CI 1.1-20.5) (p = 0.03)], knowing that malaria can be diagnosed through blood tests [AOR = 5.6 (95% CI 1.0-32.3) (p = 0.05)], all members from household participated [AOR = 4.2 (95% CI 1.3-14.0) (p = 0.02)], liking all aspects of TME [AOR = 17.2 (95% CI 1.6-177.9) (p = 0.02)] and the perception that TME was important [AOR = 14.9 (95% CI 1.3-171.2) (p = 0.03)]. CONCLUSION: Complete participation in TME was significantly associated with participation in community engagement activities, knowledge that the blood tests were for malaria diagnosis, family members' participation at TME and perceptions that TME was worthwhile. A responsive approach to community engagement that includes formative research and the involvement of community members may increase the uptake of the intervention. BACKGROUND: Mass drug (antimalarial) administration (MDA) is currently under study in Southeast Asia as part of a package of interventions referred to as targeted malaria elimination (TME). This intervention relies on effective community engagement that promotes uptake and adherence in target communities (above 80%). OBJECTIVE: Based on the experienced of designing and implementing the community engagement for TME in Laos, in this article we aim to present the elements of effective community engagement for mass antimalarial administration. METHODS: The design and implementation of community engagement, which took place from September 2015 to August 2016 was recorded as field notes, meeting minutes and photographs. These data underwent qualitative content analysis. RESULTS: The community engagement strategy that accompanied TME in Laos was successful in terms of contributing to high levels of participation in mass anti-malarial administration (above 85%). Based on the experience of designing and implementing the community engagement, five key elements were identified: (1) stakeholder and authority engagement, which proceeded from national level, to regional/district and local level; (2) local human resources, particularly the recruitment of local volunteers who were integral to the design and implementation of activities in the study villages; (3) formative research, to rapidly gain insight into the local social and economic context; (4) responsiveness whereby the approach was adapted according to the needs of the community and their responses to the various study components; and (5) sharing control/leadership with the community in terms of decisions on the organization of TME activities. CONCLUSIONS: The community engagement that accompanied TME in Laos had to deal with challenges of implementing a complex study in remote and linguistically isolated villages. Despite these challenges, the study recorded high population coverage. Lessons learnt from this experience are useful for studies and intervention programs in diverse contexts. OBJECTIVE: The purpose of this evaluation is to explore the impact of the new hospital community engagement programme (comprised of a Young Persons Advisory Group and a Science Café) on community members and other stakeholders, with regard to their attitudes, skills and degree of engagement in a paediatric hospital in Cambodia. DESIGN: Data collection included feedback questionnaires and reflections produced after each YPAG and Science Café event. Further questionnaires and reflective interviews were conducted to gather the views of key stakeholders. Data were analysed by thematic content analysis and numerical data were expressed using descriptive statistics. RESULTS: The vast majority of participants expressed their enjoyment and satisfaction of the hospital community engagement programme. Delivering the programme in the right manner for the target audiences, by prioritising their needs was key to this. Participants valued the programmes in terms of the knowledge delivered around good health practices, the skills developed such as confidence and responsibility for their health, and the provision of opportunities to voice their opinions. All stakeholders recognised the importance of the programme in improving the quality of the healthcare service provided at the hospital. CONCLUSIONS: In order to have a successful hospital community engagement programme, understanding the target audience is essential. The engagement programme must be delivered in the right way to meet the needs of community members, including right communication, right setting, right people and right timing. This will ultimately result in a meaningful programme that is able to empower community members, potentially resulting in lasting change in healthcare practices. In conclusion, the gap between hospitals and the community could narrow, allowing everyone to interact and learn from each other. BACKGROUND: Currently, malaria elimination efforts are ongoing in several locations across Southeast Asia, including in Kayin State (also known as Karen State), Myanmar . This paper describes the community engagement efforts for a pilot malaria elimination project, the challenges encountered and lessons learnt. METHODS: Between May 2013 and June 2015, a study on targeted malaria elimination (TME) that included mass drug administration was conducted in four villages (TPN, TOT, KNH, and HKT) of Kayin State. Community engagement efforts included workshops, meetings and house-to-house visits with community members. Exhibitions related to malaria and fun activities were organized for children. In addition, we provided primary care, small individual incentives and village-level incentives. This paper is based on our analysis of data extracted from meeting minutes, field notes, feedback sessions among staff and with community members as well as our own reflections. RESULTS: Average participation across three rounds of MDA were 84.4%, 57.4%, 88.6% and 59.3% for TPN, TOT, KNH and HKT, respectively. Community engagement was fraught with practical challenges such as seasonal tasks of the villagers. There were challenges in explaining difficult concepts like drug resistance and submicroscopic infection. Another was understanding and navigating the politics of these villages, which are located in politically contested areas. Managing expectations of villagers was difficult as they assumed that the community team must know everything related to health. CONCLUSIONS: In the TME project, many different community engagement strategies were employed. We encountered many challenges which included logistical, scientific and political difficulties. An approach that is tailored to the local population is key. BACKGROUND: Mass anti-malarial administration has been proposed as a key component of the Plasmodium falciparum malaria elimination strategy in the Greater Mekong sub-Region. Its effectiveness depends on high levels of coverage in the target population. This article explores the factors that influenced mass anti-malarial administration coverage within a clinical trial in Battambang Province, western Cambodia. METHODS: Qualitative data were collected through semi-structured interviews and focus group discussions with villagers, in-depth interviews with study staff, trial drop-outs and refusers, and observations in the communities. Interviews were audio-recorded, transcribed and translated from Khmer to English for qualitative content analysis using QSR NVivo. RESULTS: Malaria was an important health concern and villagers reported a demand for malaria treatment. This was in spite of a fall in incidence over the previous decade and a lack of familiarity with asymptomatic malaria. Participants generally understood the overall study aim and were familiar with study activities. Comprehension of the study rationale was however limited. After the first mass anti-malarial administration, seasonal health complaints that participants attributed to the anti-malarial as "side effects" contributed to a decrease of coverage in round two. Staff therefore adapted the community engagement approach, bringing to prominence local leaders in village meetings. This contributed to a subsequent increase in coverage. CONCLUSION: Future mass anti-malarial administration must consider seasonal disease patterns and the importance of local leaders taking prominent roles in community engagement. Further research is needed to investigate coverage in scenarios that more closely resemble implementation i.e. without participation incentives, blood sampling and free healthcare. BACKGROUND: The spread of artemisinin-resistance in Plasmodium falciparum is a threat to current global malaria control initiatives. Targeted malaria treatment (TMT), which combines mass anti-malarial administration with conventional malaria prevention and control measures, has been proposed as a strategy to tackle this problem. The effectiveness of TMT depends on high levels of population coverage and is influenced by accompanying community engagement activities and the local social context. The article explores how these factors influenced attitudes and behaviours towards TMT in Kayin (Karen) State, Myanmar. METHODS: Semi-structured interviews were conducted with villagers from study villages (N = 31) and TMT project staff (N = 14) between March and July 2015. RESULTS: Community engagement consisted of a range of activities to communicate the local malaria situation (including anti-malarial drug resistance and asymptomatic malaria), the aims of the TMT project, and its potential benefits. Community engagement was seen by staff as integral to the TMT project as a whole and not a sub-set of activities. Attitudes towards TMT (including towards community engagement) showed that developing trusting relationships helped foster participation. After initial wariness, staff received hospitality and acceptance among villagers. Offering healthcare alongside TMT proved mutually beneficial for the study and villagers. A handful of more socially-mobile and wealthy community members were reluctant to participate. The challenges of community engagement included time constraints and the isolation of the community with its limited infrastructure and a history of conflict. CONCLUSIONS: Community engagement had to be responsive to the local community even though staff faced time constraints. Understanding the social context of engagement helped TMT to foster respectful and trusting relationships. The complex relationship between the local context and community engagement complicated evaluation of the community strategy. Nonetheless, the project did record high levels of population coverage. BACKGROUND: As part of a targeted malaria elimination project, mass drug administrations (MDAs) were conducted in Vietnam. The impact of MDAs on malaria transmission depends largely on the efficacy of the anti-malarial drug regimen, the malaria epidemiology in the site and the population coverage. To explore why some people participate in MDAs and others do not, a quantitative survey of the villagers' perceptions was undertaken in Vietnam. METHODS: In 2013/2014 MDAs were conducted in a village in Binh Phuoc province and a village in Ninh Thuan province. Within three months of the drug administration, 59 respondents in a village in Binh Phuoc and 79 respondents in a village in Ninh Thuan were randomly selected and interviewed. RESULTS: Comprehension of the purpose of the intervention was of paramount importance for participation in the intervention. Respondents aware that the intervention aims to protect against malaria were significantly more likely to participate than respondents who were unaware of the MDA's purpose. Secondly, how and by whom villagers were informed was critical for participation. There was a strong association between sensitization by an informant such as a member of the local health team with participation in the intervention. CONCLUSIONS: The study suggests several approaches to increase participation in mass drug administration campaigns. Training trustworthy informants to sensitize the study population is critical to maximize village participation in this setting. To achieve high coverage the entire community must understand and agree with the intervention. BACKGROUND: Mass anti-malarial administration has been proposed as a key component of the malaria elimination strategy in South East Asia. The success of this approach depends on the local malaria epidemiology, nature of the anti-malarial regimen and population coverage. Community engagement is used to promote population coverage but little research has systematically analysed its impact. This systematic review examines population coverage and community engagement in programmes of mass anti-malarial drug administration. METHODS: This review builds on a previous review that identified 3049 articles describing mass anti-malarial administrations published between 1913 and 2011. Further search and application of a set of criteria conducted in the current review resulted in 51 articles that were retained for analysis. These 51 papers described the population coverage and/or community engagement in mass anti-malarial administrations. Population coverage was quantitatively assessed and a thematic analysis was conducted on the community engagement activities. RESULTS: The studies were conducted in 26 countries: in diverse healthcare and social contexts where various anti-malarial regimens under varied study designs were administered. Twenty-eight articles reported only population coverage; 12 described only community engagement activities; and 11 community engagement and population coverage. Average population coverage was 83% but methods of calculating coverage were frequently unclear or inconsistent. Community engagement activities included providing health education and incentives, using community structures (e.g. existing hierarchies or health infrastructure), mobilizing human resources, and collaborating with government at some level (e.g. ministries of health). Community engagement was often a process involving various activities throughout the duration of the intervention. CONCLUSION: The mean population coverage was over 80% but incomplete reporting of calculation methods limits conclusions and comparisons between studies. Various community engagement activities and approaches were described, but many articles contained limited or no details. Other factors relevant to population coverage, such as the social, cultural and study context were scarcely reported. Further research is needed to understand the factors that influence population coverage and adherence in mass anti-malarial administrations and the role community engagement activities and approaches play in satisfactory participation. Over 90% of deaths attributable to malaria are in African children under 5 years old. Yet, new treatments are often tested primarily in adult patients and extrapolations have proven to be sometimes invalid, especially in dosing regimens. For studies in severe malaria an additional complication is that the decline in severe malaria in adult patients precludes sufficiently powered trials in adults, before the intervention can be tested in the ultimate target group, paediatric severe malaria. In this paper we propose an alternative pathway to the development of drugs for use in paediatric severe malaria. We argue that following the classical phase I and II studies, small safety and efficacy studies using well-chosen surrogate endpoints in adult severe malaria be conducted, instead of larger mortality endpoint trials. If the drug appears safe and promising small pilot studies in paediatric severe malaria using the same endpoints can follow. Finally, with carefully observed safeguards in place to ensure high ethical standards, promising candidate interventions can be taken forward into mortality endpoint, well-powered, large paediatric studies in African children with severe malaria. Given the available research capacity, limited numbers of prudently selected interventions can be studied in phase III trials, and adaptive designs should be considered. Falciparum malaria is a major cause of death and illness in tropical countries, particularly in childhood. In endemic countries, a significant proportion of the community is infected with malaria asymptomatically. One promising way to eliminate malaria is to give the entire population malaria treatment. This is called mass drug administration (MDA) and it raises a number of ethical issues, as possible long-term benefits are uncertain. The effectiveness of MDA is critically dependent on level of participation, so the promised benefits to the community can be annulled by non-participation of a small number of individuals. These potential benefits range a wide spectrum, from the permanent elimination of malaria (success) to a transient reduction in the prevalence of infection and the incidence of illness (failure). The drawbacks of MDA are: inconvenience, potential toxicity, loss of confidence in the elimination campaign, possible drug resistance (though highly unlikely), and the potential for a rebound of malaria illness (if immunity is lost and malaria is reintroduced later). Other ethical issues are related to balancing individual and public health interests, and potentially limiting individual autonomy by making MDA compulsory. OBJECTIVES: In this paper we discuss the main ethical challenges related to the conduct of medicine quality surveys and make suggestions on how to address them. METHOD: Most evidence-based information regarding medicine quality derives from surveys. However, existing research ethical guidelines do not provide specific guidance for medicine quality surveys. Hence, those conducting surveys are often left wondering how to judge what counts as best practice. A list of the main ethical challenges in the design and conduct of surveys is presented. RESULTS AND CONCLUSIONS: It is vital that the design and conduct of medicine quality surveys uphold moral and ethical obligations and analyse the ethical implications and consequences of such work. These aspects include the impact on the local availability of and access to medicines; the confidentiality and privacy of the surveyors and the surveyed; questions as to whether outlet staff personnel should be told they are part of a survey; the need of ethical and regulatory approvals; and how the findings should be disseminated. Medicine quality surveys should ideally be conducted in partnership with the relevant national Medicine Regulatory Authorities. An international, but contextually sensitive, model of good ethical practice for such surveys is needed. BACKGROUND: Plasmodium vivax malaria is a major cause of morbidity and recognised as an important contributor to mortality in some endemic areas. The current recommended treatment regimen for the radical cure of P. vivax includes a schizontocidal antimalarial, usually chloroquine, combined with a 14 day regimen of primaquine. The long treatment course frequently results in poor adherence and effectiveness. Shorter courses of higher daily doses of primaquine have the potential to improve adherence and thus effectiveness without compromising safety. The proposed multicentre randomised clinical trial aims to provide evidence across a variety of endemic settings on the safety and efficacy of high dose short course primaquine in glucose-6-phosphate-dehydrogenase (G6PD) normal patients. DESIGN: This study is designed as a placebo controlled, double blinded, randomized trial in four countries: Indonesia, Vietnam, Afghanistan and Ethiopia. G6PD normal patients diagnosed with vivax malaria are randomized to receive either 7 or 14 days high dose primaquine or placebo. G6PD deficient (G6PDd) patients are allocated to weekly primaquine doses for 8weeks. All treatment is directly observed and recurrent episodes are treated with the same treatment than allocated at the enrolment episode. Patients are followed daily until completion of treatment, weekly until 8 weeks and then monthly until 1 year after initiation of the treatment. The primary endpoint is the incidence rate (per person year) of symptomatic recurrent P. vivax parasitaemia over 12 months of follow-up, for all individuals, controlling for site, comparing the 7 versus 14-day primaquine treatment arms. Secondary endpoints are other efficacy measures such as incidence risk at different time points. Further endpoints are risks of haemolysis and severe adverse events. DISCUSSION: This study has been approved by relevant institutional ethics committees in the UK and Australia, and all participating countries. Results will be disseminated to inform P. vivax malaria treatment policy through peer-reviewed publications and academic presentations. Findings will contribute to a better understanding of the risks and benefits of primaquine which is crucial in persuading policy makers as well as clinicians of the importance of radical cure of vivax malaria, contributing to decreased transmission and a reduce parasite reservoir. TRIAL REGISTRATION: ClinicalTrials.gov Identifier: NCT01814683 . Registered March 18, 2013. Sharing individual-level data from clinical and public health research is increasingly being seen as a core requirement for effective and efficient biomedical research. This article discusses the results of a systematic review and multisite qualitative study of key stakeholders' perspectives on best practices in ethical data sharing in low- and middle-income settings. Our research suggests that for data sharing to be effective and sustainable, multiple social and ethical requirements need to be met. An effective model of data sharing will be one in which considered judgments will need to be made about how best to achieve scientific progress, minimize risks of harm, promote fairness and reciprocity, and build and sustain trust. The Thailand Major Overseas Programme coordinates large multi-center studies in tropical medicine and generates vast amounts of data. As the data sharing movement gains momentum, we wanted to understand attitudes and experiences of relevant stakeholders about what constitutes good data sharing practice. We conducted 15 interviews and three focus groups discussions involving 25 participants and found that they generally saw data sharing as something positive. Data sharing was viewed as a means to contribute to scientific progress and lead to better quality analysis, better use of resources, greater accountability, and more outputs. However, there were also important reservations including potential harms to research participants, their communities, and the researchers themselves. Given these concerns, several areas for discussion were identified: data standardization, appropriate consent models, and governance. © 2015 The Author. International guidelines stipulate that in order for children to participate in research, consent must be obtained from their parents or guardians. This is because researchers and ethics committee members have historically viewed children as vulnerable subjects. We, the authors of this article, think that in terms of decision-making for participation in medical research, children are not always vulnerable. Vulnerability is context- and study-specific. In this article, we argue that the blanket categorisation of children as vulnerable research subjects is ethically problematic. Significant numbers of mature minors, particularly in low-income settings, are currently being ruled out of research participation because their parents are unavailable or refuse to provide consent, despite the possibility that they might wish to do so and that such research has the potential to be of real benefit. Consequently, older children are under-represented in all types of clinical research. We here have illustrated our arguments using two case studies. In cases where research is important; meets international scientific and ethical standards and has been approved by relevant ethics committees; where the research team is trained to take consent; and where the information is presented in a way that is accessible to children, then children should sometimes be allowed to consent for themselves, rather than always being dependent on an adult. If children are able to provide valid consent to medical research in their own right, they should be allowed to do so, regardless of their age. The requirements for valid consent that we propose are competence, voluntariness, maturity, independence and contextual appropriateness. BACKGROUND: Melioidosis is a common community-acquired infectious disease in northeast Thailand associated with overall mortality of approximately 40% in hospitalized patients, and over 70% in severe cases. Ceftazidime is recommended for parenteral treatment in patients with suspected melioidosis. Meropenem is increasingly used but evidence to support this is lacking. METHODS: A decision tree was used to estimate the cost-effectiveness of treating non-severe and severe suspected acute melioidosis cases with either ceftazidime or meropenem. RESULTS: Empirical treatment with meropenem is likely to be cost-effective providing meropenem reduces mortality in severe cases by at least 9% and the proportion with subsequent culture-confirmed melioidosis is over 20%. CONCLUSIONS: In this context, treatment of severe cases with meropenem is likely to be cost-effective, while the evidence to support the use of meropenem in non-severe suspected melioidosis is not yet available. © 2013 John Wiley & Sons Ltd. It has been suggested that community advisory boards (CABs) can play a role in minimising exploitation in international research. To get a better idea of what this requires and whether it might be achievable, the paper first describes core elements that we suggest must be in place for a CAB to reduce the potential for exploitation. The paper then examines a CAB established by the Shoklo Malaria Research Unit under conditions common in resource-poor settings - namely, where individuals join with a very limited understanding of disease and medical research and where an existing organisational structure is not relied upon to serve as the CAB. Using the Tak Province Border Community Ethics Advisory Board (T-CAB) as a case study, we assess the extent to which it might be able to take on a role minimising exploitation were it to decide to do so. We investigate whether, after two years in operation, T-CAB is capable of assessing clinical trials for exploitative features and addressing those found to have them. The findings show that, although T-CAB members have gained knowledge and developed capacities that are foundational for one-day taking on a role to reduce exploitation, their ability to critically evaluate studies for the presence of exploitative elements has not yet been strongly demonstrated. In light of this example, we argue that CABs may not be able to perform such a role for a number of years after initial formation, making it an unsuitable responsibility for many short-term CABs. © 2015, BMJ Publishing Group. All rights reserved. Authoritative international guidelines stipulate that for minors to participate in research, consent must be obtained from their parents or guardians. Significant numbers of mature minors, particularly in low-income settings, are currently being ruled out of research participation because their parents are unavailable or refuse to provide consent despite the possibility that they might wish to do so and that such research has the potential to be of real benefit. These populations are under-represented in all types of clinical research. We propose that, for research with a prospect of direct benefit that has been approved by relevant ethics committees, the default position should be that minors who are able to provide valid consent and meet the following criteria should be able to consent for themselves regardless of age and whether they have reached majority: the minor must be competent and mature relative to the decision; their consent must be voluntary and they must be relatively independent and used to decision making of comparable complexity. In addition, the context must be appropriate, the information related to the research must be provided in a manner accessible to the minor and the consent must be obtained by a trained consent taker in surroundings conducive for decision making by the minor. In this paper, we have argued that consent by mature minors to research participation is acceptable in some situations and should be allowed. Authoritative international guidelines stipulate that for minors to participate in research, consent must be obtained from their parents or guardians. Significant numbers of mature minors, particularly in low-income settings, are currently being ruled out of research participation because their parents are unavailable or refuse to provide consent despite the possibility that they might wish to do so and that such research has the potential to be of real benefit. These populations are under-represented in all types of clinical research. We propose that, for research with a prospect of direct benefit that has been approved by relevant ethics committees, the default position should be that minors who are able to provide valid consent and meet the following criteria should be able to consent for themselves regardless of age and whether they have reached majority: the minor must be competent and mature relative to the decision; their consent must be voluntary and they must be relatively independent and used to decision making of comparable complexity. In addition, the context must be appropriate, the information related to the research must be provided in a manner accessible to the minor and the consent must be obtained by a trained consent taker in surroundings conducive for decision making by the minor. In this paper, we have argued that consent by mature minors to research participation is acceptable in some situations and should be allowed. Yoel Lubell and colleagues consider ethical and economic perspectives on mass drug administration of primaquine to limit transmission of P. falciparum malaria. Please see later in the article for the Editors' Summary. An open-label, randomized controlled trial was carried out in 2011-2012 in the Democratic Republic of the Congo to test the efficacy, safety, and tolerability of the artemisinin-based combination treatments dihydroartemisinin-piperaquine, amodiaquine-artesunate, and artemether-lumefantrine. Six hundred eighty-four children aged 3 to 59 months with uncomplicated Plasmodium falciparum malaria were randomly allocated to each study arm. Children were hospitalized for 3 days, given supervised treatment, and followed up weekly for 42 days. All regimens were well tolerated and rapidly effective. The median parasitemia clearance half-life was 2.2 h, and half-lives were similar between arms (P=0.19). The PCR-uncorrected cure rates by day 42 were 73.0% for amodiaquine-artesunate, 70.2% for artemether-lumefantrine, and 86.3% for dihydroartemisinin-piperaquine (P=0.001). Early treatment failure occurred in three patients (0.5%), one in each arm. The PCR-corrected cure rates were 93.4% for amodiaquine-artesunate, 92.7% for artemether-lumefantrine, and 94.3% for dihydroartemisinin-piperaquine (P=0.78). The last provided a longer posttreatment prophylactic effect than did the other two treatments. The day 7 plasma concentration of piperaquine was below 30 ng/ml in 47% of the children treated with dihydroartemisinin-piperaquine, and the day 7 lumefantrine concentration was below 280 ng/ml in 37.0% of children who received artemether-lumefantrine. Thus, although cure rates were all satisfactory, they could be improved by increasing the dose. (This study has been registered with the International Standard Randomized Controlled Trial Number Register [www.isrctn.org] under registration no. ISRCTN20984426.). BACKGROUND: In response to calls to expand the scope of research ethics to address justice in global health, recent scholarship has sought to clarify how external research actors from high-income countries might discharge their obligation to reduce health disparities between and within countries. An ethical framework-'research for health justice'-was derived from a theory of justice (the health capability paradigm) and specifies how international clinical research might contribute to improved health and research capacity in host communities. This paper examines whether and how external funders, sponsors, and researchers can fulfill their obligations under the framework. METHODS: Case study research was undertaken on the Shoklo Malaria Research Unit's (SMRU) vivax malaria treatment trial, which was performed on the Thai-Myanmar border with Karen and Myanmar refugees and migrants. We conducted nineteen in-depth interviews with trial stakeholders, including investigators, trial participants, community advisory board members, and funder representatives; directly observed at trial sites over a five-week period; and collected trial-related documents for analysis. RESULTS: The vivax malaria treatment trial drew attention to contextual features that, when present, rendered the 'research for health justice' framework's guidance partially incomplete. These insights allowed us to extend the framework to consider external research actors' obligations to stateless populations. Data analysis then showed that framework requirements are largely fulfilled in relation to the vivax malaria treatment trial by Wellcome Trust (funder), Oxford University (sponsor), and investigators. At the same time, this study demonstrates that it may be difficult for long-term collaborations to shift the focus of their research agendas in accordance with the changing burden of illness in their host communities and to build the independent research capacity of host populations when working with refugees and migrants. Obstructive factors included the research funding environment and staff turnover due to resettlement or migration. CONCLUSIONS: Our findings show that obligations for selecting research targets, research capacity strengthening, and post-trial benefits that link clinical trials to justice in global health can be upheld by external research actors from high-income countries when working with stateless populations in LMICs. However, meeting certain framework requirements for long-term collaborations may not be entirely feasible. BACKGROUND: Existing evidence suggests that there is often limited understanding among participants in clinical trials about the informed consent process, resulting in their providing consent without really understanding the purpose of the study, specific procedures, and their rights. The objective of the study was to determine the subjects' understanding of research, perceptions of voluntariness and motivations for participation in a malaria clinical trial. METHODS: In this study semi-structured interviews of adult clinical trial participants with uncomplicated falciparum malaria were conducted in Ramu Upazila Health Complex, in Bangladesh. RESULTS: Of 16 participants, the vast majority (81%) were illiterate. All subjects had a 'therapeutic misconception' i.e. the trial was perceived to be conducted primarily for the benefit of individual patients when in fact the main objective was to provide information to inform public health policy. From the patients' perspective, getting well from their illness was their major concern. Poor actual understanding of trial specific procedures was reported despite participants' satisfaction with treatment and nursing care. CONCLUSION: There is frequently a degree of overlap between research and provision of clinical care in malaria research studies. Patients may be motivated to participate to research without a good understanding of the principal objectives of the study despite a lengthy consent process. The findings suggest that use of a standard consent form following the current ICH-GCP guidelines does not result in achieving fully informed consent and the process should be revised, simplified and adapted to individual trial settings. Background: Existing evidence suggests that there is often limited understanding among participants in clinical trials about the informed consent process, resulting in their providing consent without really understanding the purpose of the study, specific procedures, and their rights. The objective of the study was to determine the subjects' understanding of research, perceptions of voluntariness and motivations for participation in a malaria clinical trial. Methods. In this study semi-structured interviews of adult clinical trial participants with uncomplicated falciparum malaria were conducted in Ramu Upazila Health Complex, in Bangladesh. Results: Of 16 participants, the vast majority (81%) were illiterate. All subjects had a 'therapeutic misconception' i.e. the trial was perceived to be conducted primarily for the benefit of individual patients when in fact the main objective was to provide information to inform public health policy. From the patients' perspective, getting well from their illness was their major concern. Poor actual understanding of trial specific procedures was reported despite participants' satisfaction with treatment and nursing care. Conclusion: There is frequently a degree of overlap between research and provision of clinical care in malaria research studies. Patients may be motivated to participate to research without a good understanding of the principal objectives of the study despite a lengthy consent process. The findings suggest that use of a standard consent form following the current ICH-GCP guidelines does not result in achieving fully informed consent and the process should be revised, simplified and adapted to individual trial settings. © 2014 Das et al. ; licensee BioMed Central Ltd.
BACKGROUND: In order to involve children in the decision-making process about participation in medical research it is widely recommended that the child's assent be sought in addition to parental consent. However, the concept of assent is fraught with difficulties, resulting in confusion among researchers and ethics committees alike. DISCUSSION: In this paper, we outline the current international debate surrounding pediatric consent and assent, and its unique challenges arising in low-income settings. We go on to propose some key requirements for a fit-for-purpose assent model in these difficult settings. The paper recommends that children who are competent, that is, children who are judged to be able to understand and retain relevant information, weigh this information in making a mature judgment, come to a decision and communicate the decision, should be able to consent for themselves. Our proposal is that where the decision about whether to participate in a study is of comparable complexity to the decisions the child is used to making in other aspects of his or her life, it should be made by the child him or herself. The relevant level of complexity should be judged by local standards rather than standards of the developed world. In the paper we explore some of the practical challenges and counter arguments of implementing this proposal. As in high-income settings, we argue that in the case of children who are judged to lack this level of competence both parental consent and assent from the child should be sought and go on to define assent as involving the child to the extent compatible to his or her maturity and with cultural norms and not as obtaining the child's permission to proceed. SUMMARY: The concept of assent in the current guidelines is confusing. There is an urgent need for clearer guidelines that can be adapted for all types of paediatric research wherever it is to be carried out and an evidence-base concerning good assent/consent practice. This paper argues that a context specific approach should be adopted when assessing whether consent or assent should be sought from children in low-income settings. OBJECTIVES: To evaluate and determine the value of monitoring models developed by the Mahidol Oxford Tropical Research Unit and the East African Consortium for Clinical Research, consider how this can be measured and explore monitors' and investigators' experiences of and views about the nature, purpose and practice of monitoring. RESEARCH DESIGN: A case study approach was used within the context of participatory action research because one of the aims was to guide and improve practice. 34 interviews, five focus groups and observations of monitoring practice were conducted. SETTING AND PARTICIPANTS: Fieldwork occurred in the places where the monitoring models are coordinated and applied in Thailand, Cambodia, Uganda and Kenya. Participants included those coordinating the monitoring schemes, monitors, senior investigators and research staff. ANALYSIS: Transcribed textual data from field notes, interviews and focus groups was imported into a qualitative data software program (NVIVO V. 10) and analysed inductively and thematically by a qualitative researcher. The initial coding framework was reviewed internally and two main categories emerged from the subsequent interrogation of the data. RESULTS: The categories that were identified related to the conceptual framing and nature of monitoring, and the practice of monitoring, including relational factors. Particular emphasis was given to the value of a scientific and cooperative style of monitoring as a means of enhancing data quality, trust and transparency. In terms of practice the primary purpose of monitoring was defined as improving the conduct of health research and increasing the capacity of researchers and trial sites. CONCLUSIONS: The models studied utilise internal and network wide expertise to improve the ethics and quality of clinical research. They demonstrate how monitoring can be a scientific and constructive exercise rather than a threatening process. The value of cooperative relations needs to be given more emphasis in monitoring activities, which seek to ensure that research protects human rights and produces reliable data. Consent and community engagement (CE) in health research are two aspects of a single concern-that research is carried out in a respectful manner where social value is maximized. There are important overlaps and interdependencies between consent and CE; for example, CE can provide insights into how best to tailor consent to context and can be an important component of consent processes. Engaging communities can also have intrinsic and instrumental value beyond consent; for example, as a means of showing respect and identifying appropriate ways of working respectfully. In this paper we critically examine how CE and consent processes are characterized, conducted, and evaluated in diverse health research contexts, and propose a preliminary research agenda to support future learning in these critical areas. How international research might contribute to justice in global health has not been substantively addressed by bioethics. This article describes how the provision of ancillary care can link international clinical research to the reduction of global health disparities. It identifies the ancillary care obligations supported by a theory of global justice, showing that Jennifer Ruger's health capability paradigm requires the delivery of ancillary care to trial participants for a limited subset of conditions that cause severe morbidity and mortality. Empirical research on the Shoklo Malaria Research Unit's (SMRU) vivax malaria treatment trial was then undertaken to demonstrate whether and how these obligations might be upheld in a resource-poor setting. Our findings show that fulfilment of the ancillary care obligations is feasible where there is commitment from chief investigators and funders and is strongly facilitated by SMRU's dual role as a research unit and medical non-governmental organization. It has been suggested that community advisory boards (CABs) can play a role in minimising exploitation in international research. To get a better idea of what this requires and whether it might be achievable, the paper first describes core elements that we suggest must be in place for a CAB to reduce the potential for exploitation. The paper then examines a CAB established by the Shoklo Malaria Research Unit under conditions common in resource-poor settings - namely, where individuals join with a very limited understanding of disease and medical research and where an existing organisational structure is not relied upon to serve as the CAB. Using the Tak Province Border Community Ethics Advisory Board (T-CAB) as a case study, we assess the extent to which it might be able to take on a role minimising exploitation were it to decide to do so. We investigate whether, after two years in operation, T-CAB is capable of assessing clinical trials for exploitative features and addressing those found to have them. The findings show that, although T-CAB members have gained knowledge and developed capacities that are foundational for one-day taking on a role to reduce exploitation, their ability to critically evaluate studies for the presence of exploitative elements has not yet been strongly demonstrated. In light of this example, we argue that CABs may not be able to perform such a role for a number of years after initial formation, making it an unsuitable responsibility for many short-term CABs. BACKGROUND: There are very few drugs that prevent the relapse of Plasmodium vivax malaria in man. Tinidazole is a 5-nitroimidazole approved in the USA for the treatment of indications including amoebiasis and giardiasis. In the non-human primate relapsing Plasmodium cynomolgi/macaque malaria model, tinidazole cured one of six macaques studied with an apparent mild delay to relapse in the other five of 14-28 days compared to 11-12 days in controls. One study has demonstrated activity against P. vivax in man. Presented here are the results of a pilot phase II, randomized, open-label study conducted along the Thai-Myanmar border designed to evaluate the efficacy of tinidazole to prevent relapse of P. vivax when administered with chloroquine. METHODS: This study utilized a modified triangular test sequential analysis which allows repeated statistical evaluation during the course of enrolment while maintaining a specified power and type 1 error and minimizing recruitment of subjects. Enrolment was to be halted when a pre-specified success/failure ratio was surpassed. The study was designed to have a 5% type 1 error and 90% power to show whether tinidazole would produce a relapse rate of less than 20% or greater than 45% through Day 63 of weekly follow-up after initiation of treatment and initial parasite clearance with 3 days of an oral weight based dosing of chloroquine and five days of 2 grams/day of tinidazole. RESULTS: All subjects cleared their parasitaemia by Day 3. Six of the first seven subjects treated with tinidazole relapsed prior to Day 63 (average Day 48.3 (range 42-56)). This exceeded the upper boundary of the triangular test and enrolment to receive tinidazole was halted. A concurrent cohort of five subjects definitively treated with standard doses of primaquine and chloroquine (historically 100% effective) showed no episodes of recurrent P. vivax parasitaemia during the 63-day protocol specified follow-up period. CONCLUSIONS: Tinidazole is ineffective in preventing relapse of P. vivax at the dose used. The macaque relapsing model appeared to correctly predict outcome in humans. Use of the modified triangular test allowed minimal enrolment and limited unnecessary exposure to the study drug and reduced costs. This adds weight to the ethical and economic advantages of this study design to evaluate similarly situated drugs. TRIAL REGISTRATION: ClinicalTrials.gov NCT00811096. Bioethicists have long debated the content of sponsors and researchers? obligations of justice in international clinical research. However, there has been little empirical investigation as to whether and how obligations of responsiveness, ancillary care, post-trial benefits and research capacity strengthening are upheld in low- and middle-income country settings. In this paper, the authors argue that research ethics guidelines need to be more informed by international research practice. Practical guidance on how to fulfil these obligations is needed if research groups and other actors are to successfully translate them into practice because doing so is often a complicated, context-specific process. Case study research methods offer one avenue for collecting data to develop this guidance. The authors describe how such methods have been used in relation to the Shoklo Malaria Research Unit's vivax malaria treatment (VHX) trial (NCT01074905). Relying on the VHX trial example, the paper shows how information can be gathered from not only international clinical researchers?but also trial participants, community advisory board members and research funder representatives in order to: (1) measure evidence of responsiveness, provision of ancillary care, access to post-trial benefits and research capacity strengthening in international clinical research; and (2) identify the contextual factors and roles and responsibilities that were instrumental in the fulfilment of these ethical obligations. Such empirical work is necessary to inform the articulation of obligations of justice in international research and to develop guidance on how to fulfil them in order to facilitate better adherence to guidelines' requirements. Bioethicists have long debated the content of sponsors and researchers' obligations of justice in international clinical research. However, there has been little empirical investigation as to whether and how obligations of responsiveness, ancillary care, post-trial benefits and research capacity strengthening are upheld in low- and middle-income country settings. In this paper, the authors argue that research ethics guidelines need to be more informed by international research practice. Practical guidance on how to fulfil these obligations is needed if research groups and other actors are to successfully translate them into practice because doing so is often a complicated, context-specific process. Case study research methods offer one avenue for collecting data to develop this guidance. The authors describe how such methods have been used in relation to the Shoklo Malaria Research Unit's vivax malaria treatment (VHX) trial (NCT01074905). Relying on the VHX trial example, the paper shows how information can be gathered from not only international clinical researchers but also trial participants, community advisory board members and research funder representatives in order to: (1) measure evidence of responsiveness, provision of ancillary care, access to post-trial benefits and research capacity strengthening in international clinical research; and (2) identify the contextual factors and roles and responsibilities that were instrumental in the fulfilment of these ethical obligations. Such empirical work is necessary to inform the articulation of obligations of justice in international research and to develop guidance on how to fulfil them in order to facilitate better adherence to guidelines' requirements. Intermittent preventive treatment (IPT) is increasingly used to reduce malaria morbidity and mortality in children and pregnant women. The efficacy of IPT depends on the pharmacokinetic and pharmacodynamic properties of the antimalarial drugs used. Healthy adult male volunteers whose occupation put them at high risk of malaria on the Northwest border of Thailand were randomized to receive a 3-day-treatment dose of dihydroartemisinin-piperaquine monthly (DPm) or every 2 months (DPalt) or an identical placebo with or without fat (6.4 g/dose) over a 9-month period. All volunteers were monitored weekly. One thousand adults were recruited. Dihydroartemisinin-piperaquine was well tolerated. There were 114 episodes of malaria (49 Plasmodium falciparum, 63 P. vivax, and 2 P. ovale). The protective efficacy against all malaria at 36 weeks was 98% (95% confidence interval [CI], 96% to 99%) in the DPm group and 86% (95% CI, 81% to 90%) in the DPalt group (for both, P < 0.0001 compared to the placebo group). As a result, the placebo group also had lower hematocrits during the study (P < 0.0001). Trough plasma piperaquine concentrations were the main determinant of efficacy; no malaria occurred in participants with a trough concentration above 31 ng/ml. Neither plasma piperaquine concentration nor efficacy was influenced by the coadministration of fat. DPm is safe to use and is effective in the prevention of malaria in adult males living in an area where P. vivax and multidrug-resistant P. falciparum malaria are endemic. Community engagement is increasingly promoted in developing countries, especially in international health research, but there is little published experience. The Shoklo Malaria Research Unit (SMRU) conducts research with refugees, migrant workers, displaced people, and day migrants on the Thai-Burmese border, and has recently facilitated the set up of the Tak Province Border Community Ethics Advisory Board (T-CAB). Valuable lessons have been learnt from consultation with the T-CAB especially in the area of participant recruitment and the informed consent process. A lot of new research questions have emerged from consultation with the T-CAB. This paper describes our experience, lessons learnt and the unique challenges faced working with the T-CAB from its initial conception to date. We conclude that consultation with the T-CAB has made improvements in our research in particular operational and ethical aspects of our studies. BACKGROUND: Little is known about how primary care physicians (PCPs) in Asia diagnose and manage prostatitis-like symptoms. This study investigated the clinical diagnosis of and care provided for prostatitis-like symptoms by PCPs in a Malaysian population, and compared these findings to reports from other areas. METHODS: All members of the Penang Private Medical Practitioners' Society were asked to complete a self-administered survey. Nonresponders were contacted after 3 weeks and received a telephone request after 6 weeks. RESULTS: Of the 786 practitioners contacted, 669 considered themselves to be PCPs, including 279 (42%) who responded to the survey. Adult males with prostatitis-like symptoms typically constitute <1% of the patients seen by PCPs. Most PCPs (72%) believe that prostatitis-like symptoms are caused by bacterial infection. 61% of PCPs base their diagnosis of prostatitis-like symptoms on clinical history, a physical examination and dipstick urinalysis. Standard management was to prescribe 1 or 2 courses of antimicrobials. CONCLUSIONS: Despite the 8.7% prevalence found in a previous survey in this population, prostatitis remains underdiagnosed in Malaysia. In contrast to many other clinical settings, urologists in Malaysia see a large proportion of newly diagnosed and treatment-naive prostatitis patients, providing an opportunity for clinical diagnostic and treatment studies. BACKGROUND: Chronic prostatitis/chronic pelvic pain syndrome (CP/CPPS) afflicts 2%-10% of adult men. Available therapies offer little or no proven benefit. Because acupuncture represents an attractive "natural" therapy, we compared the efficacy of acupuncture to sham acupuncture for CP/CPPS. METHODS: Participants met US National Institutes of Health (NIH) consensus criteria for CP/CPPS, were aged > or = 20 years old, and had a total score > or = 15 on the NIH Chronic Prostatitis Symptom Index (NIH-CPSI) and symptoms for at least 3 of the preceding 6 months. They were randomized 1:1 to acupuncture or sham acupuncture. Treatment consisted of twice-weekly 30-minute sessions for 10 weeks (20 sessions total) without needle stimulation, herbs, or adjuvants. The primary response criterion was a 6-point decrease from baseline to week 10 in NIH-CPSI total score (range 0-43). RESULTS: Thirty-two (73%) of 44 participants responded in the acupuncture group compared with 21 (47%) of 45 sham group participants (relative risk 1.81, 95% confidence interval, 1.3-3.1, P = .02). Long-term responses 24 weeks after completing therapy without additional treatment occurred in 14 (32%) of 44 acupuncture group participants and in 6 (13%) of 45 sham group participants (relative risk 2.39, 95% confidence interval, 1.0-5.6, P = .04). CONCLUSIONS: After 10 weeks of treatment, acupuncture proved almost twice as likely as sham treatment to improve CP/CPPS symptoms. Participants receiving acupuncture were 2.4-fold more likely to experience long-term benefit than were participants receiving sham acupuncture. PURPOSE: We determined the clinical efficacy and safety of terazosin in the treatment of patients with female lower urinary tract symptoms. MATERIALS AND METHODS: A total of 100 females 20 to 70 years old who met the inclusion criteria of total International Prostate Symptom Score 8 or greater, symptom duration 1 or more months, and did not meet any exclusion criteria were entered into the study. Subjects were randomized to receive terazosin or placebo in titrated dose from 1 mg od, 1 mg twice daily to 2 mg twice daily during 14 weeks. Successful treatment outcomes use primary end point of International Prostate Symptom Score quality of life 2 or less and secondary end point of total International Prostate Symptom Score 7 or less. Other outcome measures included International Prostate Symptom Score individual item scores, King's Health Questionnaire quality of life domains, objective assessment parameters of 24-hour frequency volume chart, maximum flow rate and post-void residual urine. RESULTS: Using a primary end point, 32 of 40 (80%) evaluable terazosin subjects responded in contrast to 22 of 40 (55%) evaluable placebo subjects (p <0.02). The secondary end point revealed a successful outcome in 85% of terazosin subjects vs 55% in placebo (p <0.01). Of the 7 International Prostate Symptom Score individual item scores, only item scores of frequency and straining showed statistically significant reductions with terazosin (p <0.01). All King's Health Questionnaire quality of life domains except domain of severity measures showed statistically significant improvement with terazosin (p <0.05). There were no differences between treatment groups in all objective assessment parameters. Of all evaluable subjects 23 of 40 (58%) on placebo experienced adverse events vs 16 of 40 (40%) on terazosin (p >0.05). CONCLUSIONS: Terazosin proved to be more effective and safe than placebo in patients with female lower urinary tract symptoms. BACKGROUND: Prostatitis describes a combination of infectious diseases (acute and chronic bacterial prostatitis), chronic pelvic pain syndrome, and asymptomatic inflammation. MATERIALS AND METHODS: We employed evidence-based methods to review the epidemiology of prostatitis syndromes. RESULTS: The prevalence of prostatitis symptoms could be compared in five studies surveying 10,617 men. Overall, 873 participants met various criteria for prostatitis, representing an overall rate of 8.2%, with prevalence ranging from 2.2 to 9.7%. A history of sexually transmitted diseases was associated with an increased risk for prostatitis symptoms. Men reporting a history of prostatitis symptoms had a substantially increased rate of benign prostatic hyperplasia, lower urinary tract symptoms and prostate cancer. In one study, the incidence of physician-diagnosed prostatitis was 4.9 cases per 1000 person-years. Two studies suggest that about one-third of men reporting prostatitis symptoms had resolution after 1 year. Patients with previous episodes and more severe symptoms are at higher risk for chronic pelvic pain. DISCUSSION: The prevalence of prostatitis symptoms is high, comparable to rates of ischaemic heart disease and diabetes. Clinical evaluation appears necessary to verify that prostatitis is responsible for patients' symptoms. Prostatitis symptoms may increase a man's risk for benign prostate hypertrophy, lower urinary tract symptoms and prostate cancer. We need to define natural history and consequences of prostatitis, develop better algorithms for diagnosis and treatment, and develop strategies for prevention. OBJECTIVES: To examine the prevalence, characteristics, and impact of sexual dysfunction in our primary care referral population. METHODS: Participants seeking treatment for chronic prostatitis/chronic pelvic pain syndrome (CP/CPPS) were recruited from general urology clinics. The subjects completed the National Institutes of Health-Chronic Prostatitis Symptom Index, International Index of Erectile Function-5, and selected questions from the University of Washington Symptom Score. Additional information on demographics and medical and treatment history were also obtained. Sexual dysfunction was defined as self-reported erectile dysfunction (ED) or ejaculatory difficulty, or both. RESULTS: Of 296 participants with CP/CPPS, 214 (72.3%) reported sexual dysfunction. The National Institutes of Health-Chronic Prostatitis Symptom Index total score averaged 22.5 +/- 6.9 for participants with sexual dysfunction compared with 20.4 +/- 7.8 for participants who did not report sexual dysfunction (P = 0.03). Of the 214 participants with sexual dysfunction, 54 (25.0%) complained of ED only, 71 (33.4%) complained of ejaculatory difficulties only, and 89 (41.6%) complained of both ED and ejaculatory difficulties. Men reporting both ED and ejaculatory difficulty reported worse CP/CPPS symptoms (analysis of variance, P = 0.042) and worse quality of life (analysis of variance, P = 0.006) than men without sexual dysfunction. CONCLUSIONS: Sexual dysfunction was reported by almost three quarters of patients with CP/CPPS. Patients with CP/CPPS and sexual dysfunction experienced substantially worse symptoms, particularly worse quality of life, than other patients with CP/CPPS. Sexual dysfunction merits consideration as an important aspect of CP/CPPS and a potential outcome measure. PURPOSE: We compared demographic and clinical characteristics of the University of Sciences Malaysia Chronic Prostatitis Cohort to the United States National Institutes of Health Chronic Prostatitis Cohort. MATERIALS AND METHODS: Participants met the same definition of chronic prostatitis/chronic pelvic pain syndrome. Each participant had extensive demographic, medical history, previous treatment, clinical and laboratory evaluations. RESULTS: The University of Sciences Malaysia and National Institutes of Health cohorts proved similar in most respects. National Institutes of Health-Chronic Prostatitis Symptom Index total scores, pain and urinary subscores were similar for the 332 University of Sciences Malaysia Chronic Prostatitis Cohort and 488 National Institutes of Health Chronic Prostatitis Cohort participants. Differences included worse quality of life subscore for the University of Sciences Malaysia Chronic Prostatitis Cohort, differences in the location, number of sites, and types of pain/discomfort between the 2 populations, and that the University of Sciences Malaysia participants had received less previous treatment. CONCLUSIONS: The demographic characteristics and clinical presentation of chronic prostatitis/chronic pelvic pain syndrome proved remarkably similar in these diverse populations. Both cohorts experienced major reduction in their quality of life from chronic pelvic pain and urinary symptoms. Comparison of diverse populations using standard clinical, laboratory and assessment instruments is feasible, and may provide important insights into chronic prostatitis/chronic pelvic pain syndrome and the factors that determine clinical outcome. OBJECTIVES: To determine the prevalence, severity, and quality-of-life (QOL) impact of female lower urinary tract symptoms (FLUTS); to determine the patterns, reasons, and factors contributing to the women's treatment-seeking behavior; and to describe the relationship between the social demographic characteristics and FLUTS. METHODS: A total of 2732 women older than 19 years of age were recruited by a series of FLUTS Awareness Campaigns held within Northern Malaysia from January to August 2004. Trained interviewers used surveys to collect information on social demographic characteristics, International Prostate Symptom Score, and King's Health Questionnaire to determine the prevalence, severity, QOL impact, treatment-seeking behavior, and risk factors of FLUTS. RESULTS: The prevalence of FLUTS was 19.0% (n = 519), with 88.6% having moderate and 11.4% severe FLUTS. Using the International Prostate Symptom Score QOL assessment index, 55.3% (n = 287) scored 4 or greater. Using the King's Health Questionnaire, the most affected QOL domain was sleep/energy. The patterns of treatment-seeking behavior revealed that only 23.1% (n = 120) of patients with FLUTS actively sought treatment. The major reason for those (76.9%) who failed to seek treatment was that they did not perceive FLUTS as a major health problem (29.1%). Factors that warranted treatment were the severity, bother, and QOL impact of FLUTS (all P <0.001), hematuria (P <0.001), age (P <0.005), parity, body mass index, and suprapubic pain (all P <0.05). The risk factors for FLUTS (defined as an odds ratio of 2 or more) included age 50 years or older, parity of 4 or more, illiteracy, postmenopausal status, and the presence of one or more concomitant chronic medical illness. CONCLUSIONS: Despite the high prevalence of FLUTS in Northern Malaysia (19.0%), many patients do not seek treatment, with ignorance being the major reason. The objective of the study is to determine the short- and long-term utility of the Chinese, Malay and English versions of the National Institutes of Health--Chronic Prostatitis Symptom Index (NIH-CPSI) in our ethnically diverse population. The NIH-CPSI was translated into Chinese and Malay, and then verified by back translation into English. Subjects included 100 new chronic prostatitis/chronic pelvic pain (CP/CPPS) patients, 71 new benign prostatic hyperplasia patients and 97 healthy individuals. Reliability was evaluated with test-retest reproducibility (TR) by calculating intraclass correlation coefficients (ICC). Internal consistency was evaluated by calculating Cronbach's alpha (alpha). Validity assessments included discriminant and construct validity. (Presented in the order of Chinese, Malay then English). ICC values for short-term (1 week) TR were 0.90, 0.80 and 0.89, while ICC values for long-term (14 weeks) TR were 0.54, 0.61 and 0.61. Cronbach's alpha values were 0.63, 0.62 and 0.57. The NIH-CPSI total score discriminated CP/CPPS patients (P<0.001) from the control groups with receiver operating curve values of 0.95, 0.98 and 0.94, respectively. Construct validity, reflected by the correlation coefficient values between the International Prostate Symptom Score and the NIH-CPSI of CP/CPPS patients were 0.72, 0.49 and 0.63 (all P<0.05). The Chinese, Malay and English versions of the NIH-CPSI each proved effective in our population. Short-term TR and discriminant validity were excellent for all three versions. However, long-term TR was only moderate, which might reflect variation in patients' perceptions of symptoms over time. OBJECTIVES: To evaluate the initial, long-term, and durable response rates to terazosin, placebo, or other therapies in patients with chronic prostatitis/chronic pelvic pain syndrome. METHODS: A total of 100 subjects, aged 20 to 50 years, who met the National Institutes of Health criteria for chronic prostatitis/chronic pelvic pain syndrome and had not previously been treated with alpha-blockers, were entered in a 14-week, double-blind comparison of terazosin or placebo therapy. Nonresponders and responders with subsequent relapse were treated with terazosin or other medications (open label). The criterion for response was a score of 0 to 2 on the National Institutes of Health Chronic Prostatitis Symptom Index quality-of-life item. The initial response was evaluated at week 14, and the long-term response was evaluated after a median of 38 weeks (range 34 to 42), regardless of any additional treatment. A durable response was defined as an initial response without additional treatment. RESULTS: Of the 43 patients in the terazosin group, 24 (56%) had an initial response compared with 14 (33%) of 43 subjects in the placebo group (P = 0.03). Long-term responses were noted in 23 (56%) of 41 assessable subjects treated with terazosin initially compared with 12 (32%) of 38 assessable subjects treated with placebo (P = 0.03). Of the nonresponders and initial responders with relapse, 7 (41%) of 17 subjects responded to terazosin compared with 7 (21%) of 34 given other treatment (P = 0.12). Durable responses occurred in 18 (44%) of the 41 assessable patients treated initially with terazosin and in 6 (16%) of 38 treated initially with placebo (P = 0.01). CONCLUSIONS: Patients treated with terazosin were more likely to have initial, long-term, and durable responses than those treated with placebo. PURPOSE: We evaluate terazosin therapy for chronic prostatitis/chronic pelvic pain syndrome. MATERIALS AND METHODS: The study included 100, 20 to-50-year-old subjects who met the consensus criteria for chronic prostatitis/chronic pelvic pain syndrome and had not received previous alpha-blockers. Subjects were randomized to receive terazosin with dose escalation from 1 to 5 mg. daily or placebo for 14 weeks. The primary criterion for response was scoring 2 or less ("delighted-to-mostly satisfied") on the National Institutes of Health Chronic Prostatitis Symptom Index (NIH-CPSI) quality of life item. The secondary criterion for response was greater than 50% reduction in NIH-CPSI pain score at 14 weeks. Other outcomes included total and NIH-CPSI domain scores, International Prostate Symptom Score, peak urinary flow rate, post-void residual urine and adverse effects. RESULTS: Using the primary criterion 24 of 43 evaluable subjects (56%) responded in the terazosin group compared to 14 of 43 (36%) in the placebo group (p = 0.03). Using the secondary criterion 26 of 43 subjects (60%) responded in the terazosin group compared to 16 of 43 (37%) in the placebo group (p = 0.03). The terazosin group had greater reductions (p <0.05) in NIH-CPSI total score, individual domain scores and International Prostate Symptom Score than the placebo group. There was no difference in peak urinary flow rate or post-void residual. In the terazosin group 18 patients (42%) had side effects compared to 9 (21%) in the placebo group (p = 0.04). CONCLUSIONS: Terazosin proved superior to placebo for patients with chronic prostatitis/chronic pelvic pain syndrome who had not received alpha-blockers previously. OBJECTIVES: To determine the prevalence of chronic prostatitis/chronic pelvic pain syndrome (National Institutes of Health Category III prostatitis) in Penang, Malaysia and estimate the proportion of cases ascertained by population survey that met consensus clinical criteria for "chronic prostatitis." METHODS: One percent of 20 to 50-year-old men in Penang, Malaysia were surveyed using the National Institutes of Health Chronic Prostatitis Symptom Index. A clinical evaluation that included lower urinary tract localization studies was recommended for symptomatic subjects who met the survey definition to identify bacterial prostatitis and other diagnoses that would exclude them from the consensus clinical definition for chronic prostatitis (Category III). RESULTS: Of 3147 subjects surveyed, 275 (8.7%) met the survey criteria for chronic prostatitis. The prevalence of chronic prostatitis was 8.0% among Malays, 8.9% among non-Malays, and 16% among noncitizens (P = 0.025). The prevalence increased with age: 6.3% in 20 to 30-year-old men, 8.9% in 31 to 40-year-old men, and 12.6% in 41 to 50-year-old men (P <0.001). Of 87 subjects evaluated clinically, 65 (75%) met the consensus clinical criteria for chronic prostatitis. CONCLUSIONS: Chronic prostatitis represents an important, international healthcare problem. A thorough clinical evaluation is necessary to verify that chronic prostatitis is indeed responsible for a patient's pelvic pain and lower urinary tract symptoms. We review new data on the epidemiology of chronic prostatitis. These population-based studies used reasonable case-definitions to survey various populations from North America, Europe and Asia. Overall, 2-10% of adult men suffer from symptoms compatible with chronic prostatitis at any time and approximately 15% of men suffer from symptoms of prostatitis at some point in their lives. Other epidemiologic data suggest that chronic prostatitis may be associated with an increased risk for development of benign prostatic hyperplasia and prostate cancer. These data suggest that chronic prostatitis is an important international health care problem that merits increased priority from clinicians and researchers. A simple, sensitive and reproducible high-performance liquid chromatography (HPLC) method was developed for the determination of terazosin in human plasma. The method involves a one-step single solvent extraction procedure using dichloromethane with a 0.25 ml plasma sample. Recovery values were all greater than 90% over the concentration range 0.25-100 ng/ml. Terazosin was found to adsorb to glass or plastic tubes, but this could be circumvented by using disposable plastic tubes. Also, rinsing the injector port with methanol after each injection helped to prevent any carry-over effect. The internal standard, prazosin, did not exhibit this problem. The method has a quantification limit of 0.25 ng/ml. The within- and between-day coefficient of variation and accuracy values were all less than 7% over the concentration range 0.25-100 ng/ml and hence the method is suitable for use in pharmacokinetic studies of terazosin.